Head to a dystopian world later this year when the open-world action sequel RAGE 2 launches on May 14th. This time around the crazy action is being cranked up to 11 with even more over the top abilities and unique enemies to fight. Take a look at 9 minutes of new pre-beta gameplay footage and see some of the new first person shooting action for yourself. Learn more about the various abilities, enemies and even a fight against a dude in a mech suit! No matter The game is being co-developed between Avalanche Studios (Just Cause) and the team at id Software (DOOM), both studios are working together to offer a mix of first person action within a large open world to explore. 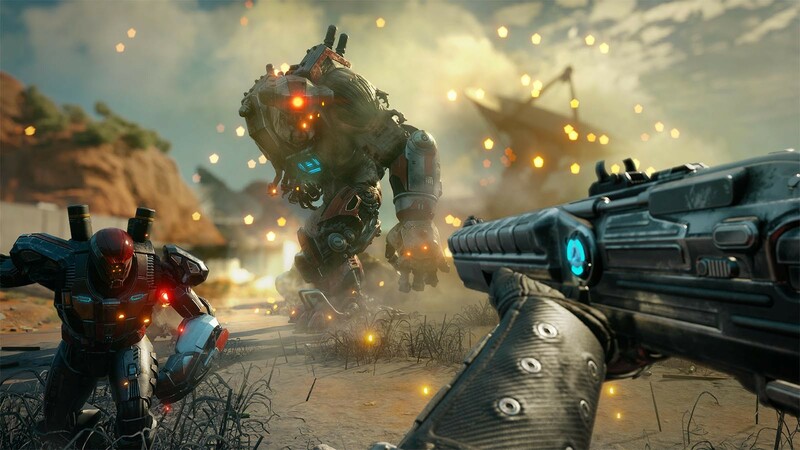 RAGE 2 is launching on May 14th 2019. You can pre-order the game today and get the following bonuses for free!